This flavorful pasta is sure to remedy many a weeknight dining emergency. Long, tender noodles twisted together with savory mushrooms, sharp Parmesan cheese, and a hint of tangy balsamic vinegar creates a recipe that’s big on flavor, but small on prep work. The ingredient list is short, and if you start right away, the finished dish can be on your table in 30 minutes. 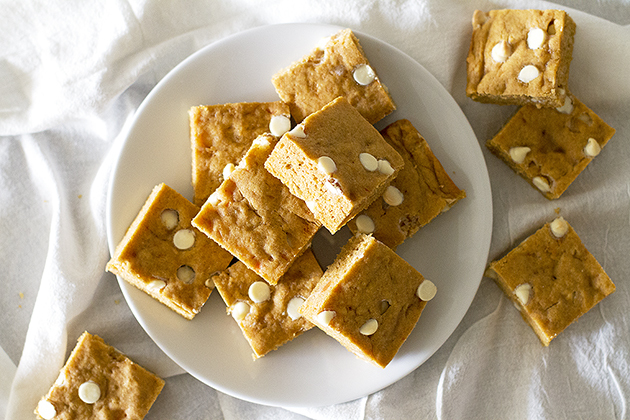 Because this recipe has so few ingredients, it’s important to choose them carefully. I used good quality Italian balsamic vinegar and spaghetti noodles, along with Parmesan cheese that I grated right from the block. 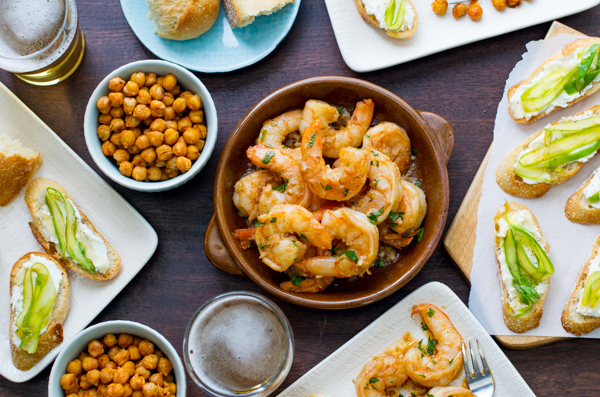 Leave the green can behind—this recipe calls for the real-deal. 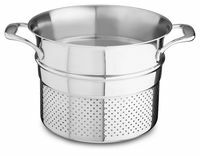 Cook the pasta in an 8.0-Quart Stock Pot from the KitchenAid® Stainless Steel 8-Piece Set with a Pasta Insert, which makes it easy to drain the pasta while reserving the pasta water. As someone who has thrown out her pasta water only to discover that she needs it for the sauce a few minutes later (as is the case with today’s recipe), this is a feature I absolutely appreciate. 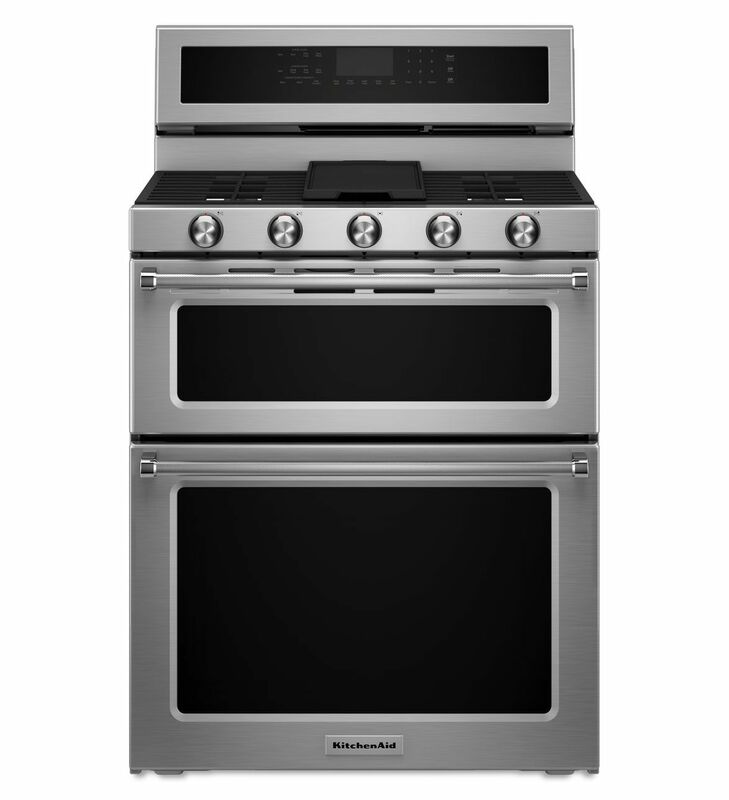 The Stock Pot is large, but the water boils quickly on my KitchenAid® Double Oven Range. Cooking with gas is a recent upgrade in my kitchen, and I love the control over the heat and the even cooking that my Double Oven Range provides. The time it took for the water to boil and the noodles to cook was all I needed to make the rest of the recipe. To start, sauté the onions in a bit of olive oil and butter. You’ll want the olive oil for its higher cooking temperature and the butter for its oh-so-scrumptious flavor. Once the onion is soft, it’s time for the mushrooms to go into the pan. They readily absorb the flavors of the butter and onion. Their meaty texture adds a robustness and satisfaction factor to the pasta too. Next, the balsamic vinegar, garlic, and the cooked pasta all go into the skillet, along with a bit of the reserved pasta water (remember how easy it was to save? ), and a hefty helping of Parmesan cheese. In a few minutes, pasta forms its own light, creamy sauce that coats every spaghetti strand. A handful of fresh parsley and (who are we kidding?) a little extra Parmesan cheese puts the finishing touches on this simple, but marvelous meal. 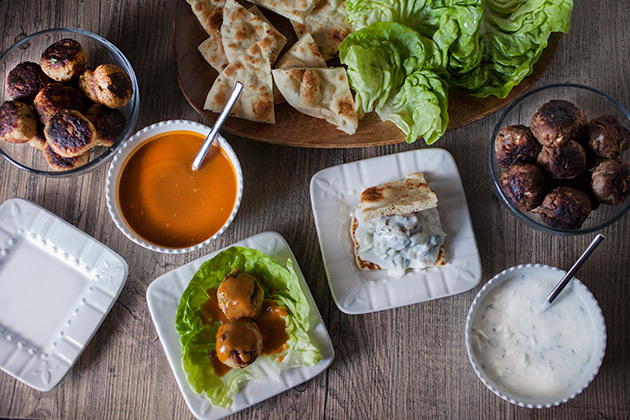 Manic weeknight dinner, you have met your match! 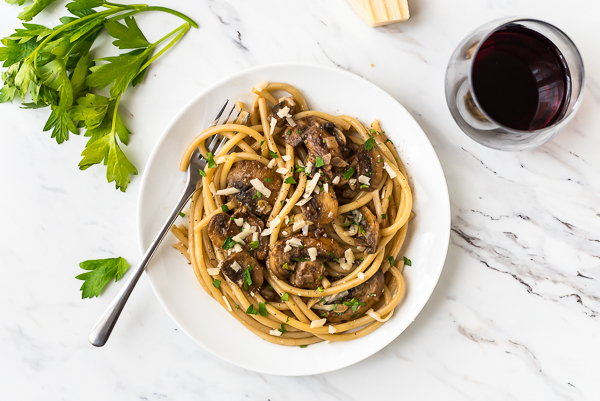 Share your take on this Balsamic Mushroom Spaghetti on Instagram using #MadeWithKitchenAid for a chance to be featured. 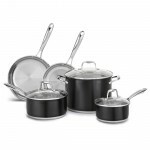 Bring salted water to boil in an 8.0-Quart Stock Pot from the KitchenAid® Stainless Steel 8-Piece Set. Add the pasta to the KitchenAid® Pasta Insert and cook until slightly under al dente. Reserve 1/2 cup of the pasta water. Drain and set aside. In a large, deep nonstick skillet, heat the olive oil and butter over medium. Once the oil is hot and the butter is melted, add the onion and cook, stirring occasionally, until softened, about 4 minutes. Add the mushrooms and cook until the mushrooms begin to soften and give up their liquid, about 7 minutes. Add the garlic, salt, and pepper and cook until fragrant, about 1 additional minute. Stir in the balsamic vinegar. Add the drained pasta noodles, the reserved 1/2 cup pasta water, and the 1/2 cup parmesan to the skillet. Turn the heat to high. Toss until the pasta is glossy and the noodles are evenly coated. Stir in the parsley. Taste and add additional salt and pepper as desired. Serve warm, sprinkled with additional Parmesan cheese.